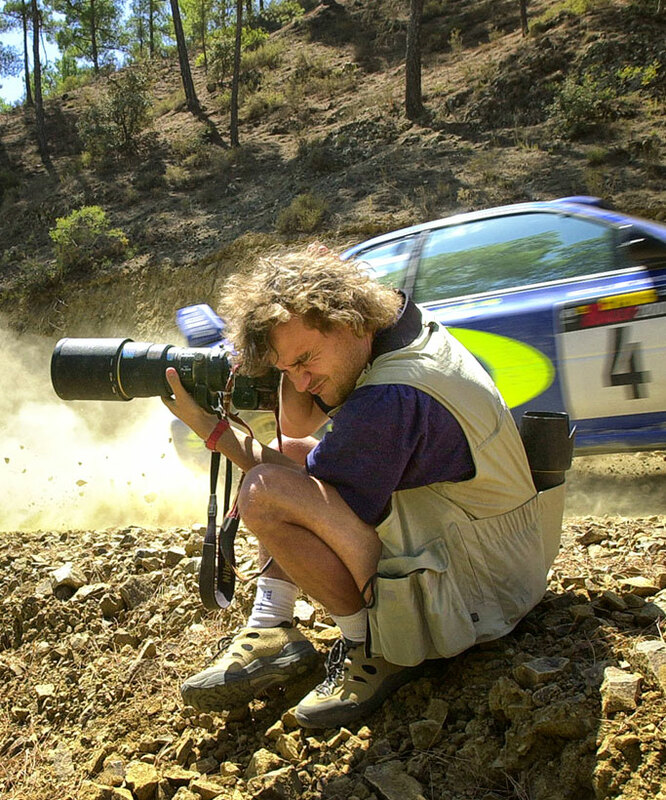 Considered one of the best photographers in Formula 1, Miquel Liso turned his passion for Rally into a profession behind the camera. After photographing hundreds of tests of various international categories traveling around the world, his images have captivated the world with an artistic vision of racing. From those first races as an amateur with his brother would arise the desire to devote himself professionally to motor photography. Miquel started his career in photography by chance. As a child he accompanied his brother to see the rallies near his native Manresa, but always with a camera in his hand; he wanted to catch a world that fascinated him. From those early years capturing scenes full of cars and pilots would arise a passion for these tests, and this contained energy prompted him to devote himself professionally to motor photography. Growing in a self-taught way after going to different international tests during his vacations, plus the fact of being trained for 3 years in the "Institut d'estudis fotografícs de Catalunya". At the end of the 90s, and after the good reception of his work in different media and brands, he decided to dedicate himself fully to the races. The international success of Miquel Liso as a Formula 1 photographer came in 2014, with the publication of his book "Formula 1. Images with a message". The success opened new professional opportunities in the world of Formula 1 and took them to revolutionize their work. Once fulfilled his obligations in the races, he looked for free times during the races to experiment, and it was then when he proposed his project, "Slow speed in racing". Currently Miquel does not work for anyone in Formula 1, and is dedicated exclusively to this art project. Miquel Liso is committed to a very personal vision of careers, seeks difference as a source of inspiration and pursues a graphic and innovative project. The work of Miquel Liso is published in specialized magazines and international sports press, and has the recognition of pilots, team managers and many of the main actors of Formula 1. The secret has been to opt for a very personal vision of racing , look for the difference as a source of inspiration and pursue a graphic and innovative project.